Meet Cody and Syd, two spayed female sisters. These girls are good natured and would be a great fit for a home new to piggies or an experienced home. 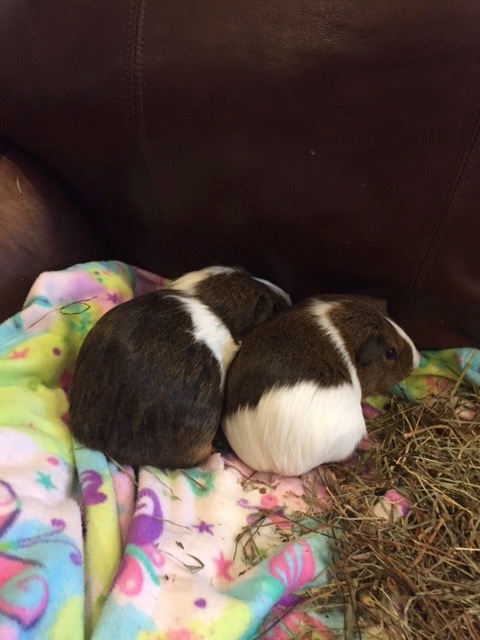 They are brown and white short-haired pigs. They are curious, alert, and friendly pigs who love to eat. Syd is more comfortable being held than Cody, but Cody does warm up over time. They do look a lot alike with one noticeable exception: Syd has brown fur on her rear and Cody has white fur.